The Television Academy announced today that its Board of Governors has elected Hayma "Screech" Washington as its new Chairman and CEO. Washington was elected to a two-year term beginning January 1, 2017, and succeeds Bruce Rosenblum who has served since January 2012. The Academy also announced its newly-elected officers and governors serving on the Board for the 2017–2018 term. 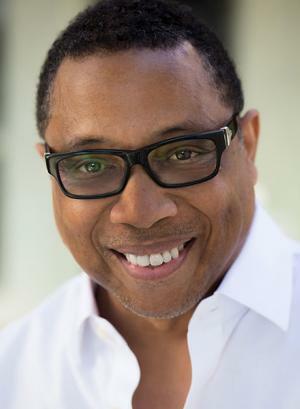 Emmy Award winner Washington, the Academy's first African-American chairman and CEO, is a seasoned television executive who currently produces and directs under his own production company banner, Screechers Pix. Washington previously served as executive producer of The Amazing Race, for which he earned seven Emmy Awards and a Producers Guild Award. Before that he was at Walt Disney Studios for 10 years as vice president for two production divisions. His career has also included working in live sports; on awards shows, including the MTV Video Music Awards, the ESPY Awards and the Primetime Emmy Awards; music; comedy; drama; talk; independent films; and short-form digital content. Washington has served two terms as governor for the Producers peer group, as well as co-chair of the Television Academy's Diversity committee and on the Daytime, Primetime and Creative Arts Emmy Awards committees. In addition, he has served two terms as vice president of television for the Producers Guild of America where he is currently a member of the National Board of Directors. "I am honored to have been selected to lead the Academy and look forward to serving our membership alongside the governors, executive committee, Foundation and staff," said Washington. "This is a time of considerable change for our industry and I am deeply committed to ensuring that the Academy is at the forefront as we move towards a more inclusive future." Mitch Waldow, Los Angeles Area Vice Chair. Similarly, the Academy's new governors will serve a two-year term through 2018; they are listed by peer group below, along with their co-governors who continue to serve a two-year term ending December 31, 2017.